Make pickups smoother for parents, kids, and school administrators. Set pick up times for your children, alert school of your arrival time, set up carpools, get notified when your child is picked up, and more! FetchKids is a win-win for everyone involved in coordinating student pick-ups at the end of the day. FetchKids - to use FetchKids, contact your child's school. The school must set up your account for you to use this app. FetchKids organizes and streamlines the process and makes things easier for everyone involved. 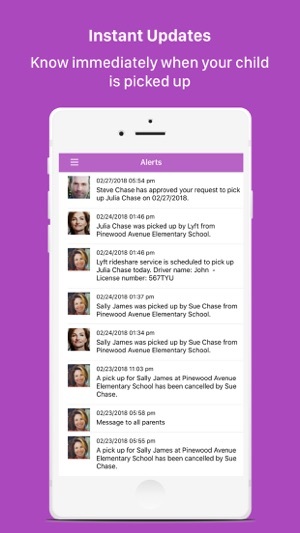 FetchKids is guaranteed to improve the flow of traffic and the way that students are picked up at your school. FetchKids is a win-win for everyone involved in coordinating student pick-ups at the end of the day. 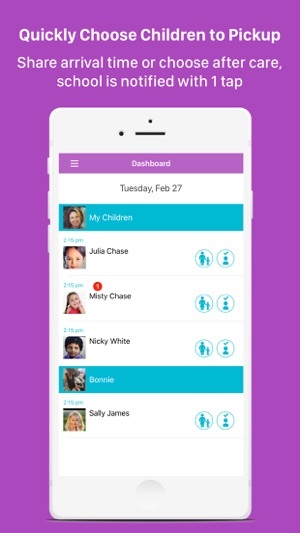 Ask your child’s school if they are using the FetchKids app. Copyright © 2019 Stephen Bloodworth and Expanded Apps, Inc.